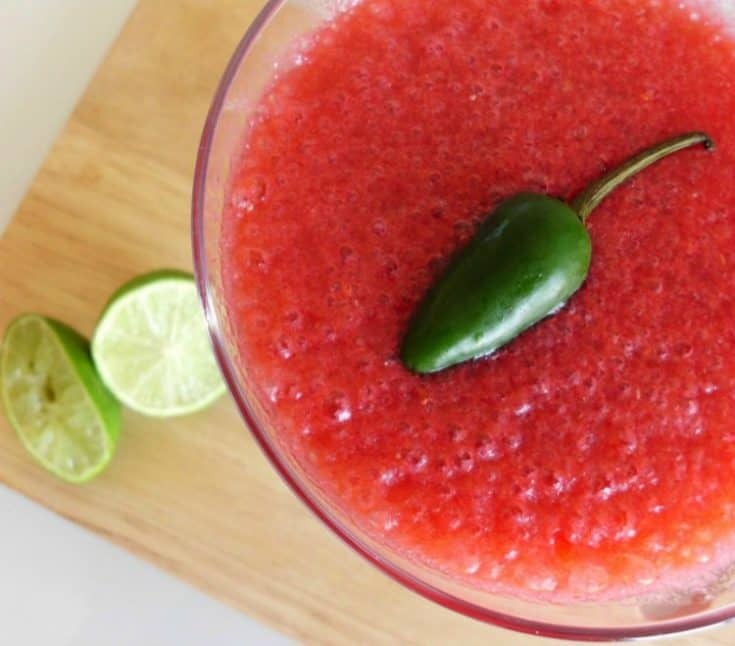 It’s sweet, it’s spicy and it’s pink (kinda…more red, actually) – it’s a Spicy Raspberry, Lime & Jalapeño Margarita! Before you go running off into the distance away from the crazy lady who stuck a jalapeño into a deliciously sweet margarita, just give me one blog post to change your mind about unusual ingredients (i.e. jalapeños) in cocktails, k? As of yesterday, we are officially into spring, so bring on zesty citrus flavours, crisp light salads and jugs of slushie cocktails like this one. 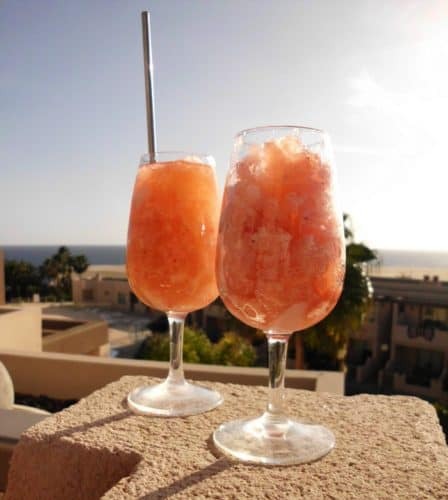 Whilst I pretty much love every kind of cocktail ever, I have a special fondness for cocktails in slushie form. I finally did it! 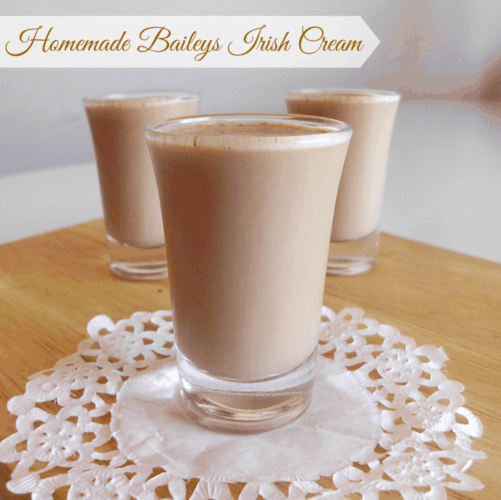 Since I saw this wonderful post on homemade Bailey’s Irish cream liqueur over one year ago, I’ve been wanting to make my own version. And with St Patrick’s Day coming up, I thought now was a great time to get in gear and whip up my own batch! 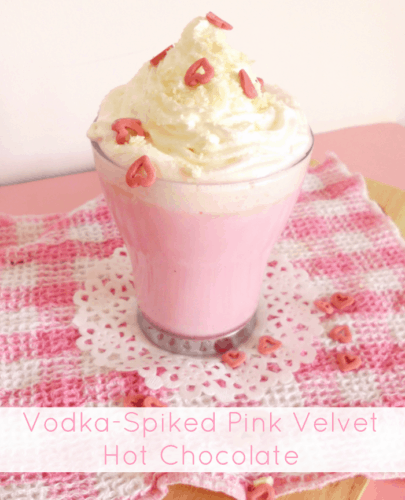 And just when you thought it couldn’t get any more pink and girly around here, I whip up this Vodka-Spiked Pink Velvet Hot Chocolate, top it with thick and fluffy whipped cream and sprinkle it with red heart-shaped sprinkles. 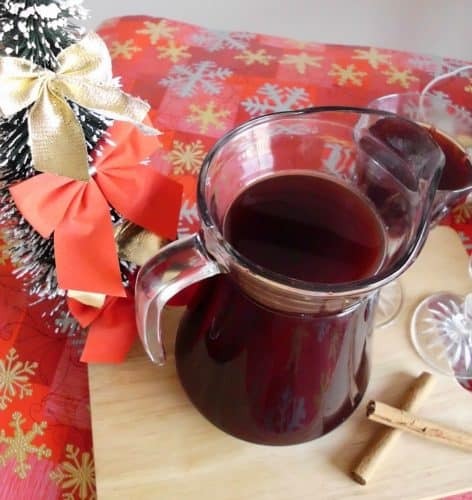 So up until this week I didn’t think I liked mulled wine. I thought it tasted like bitter vinegar that had been left out in the sun for months on end before being used to mop the floor. I thought the mop was then rung out into your glass and called ‘mulled wine’.